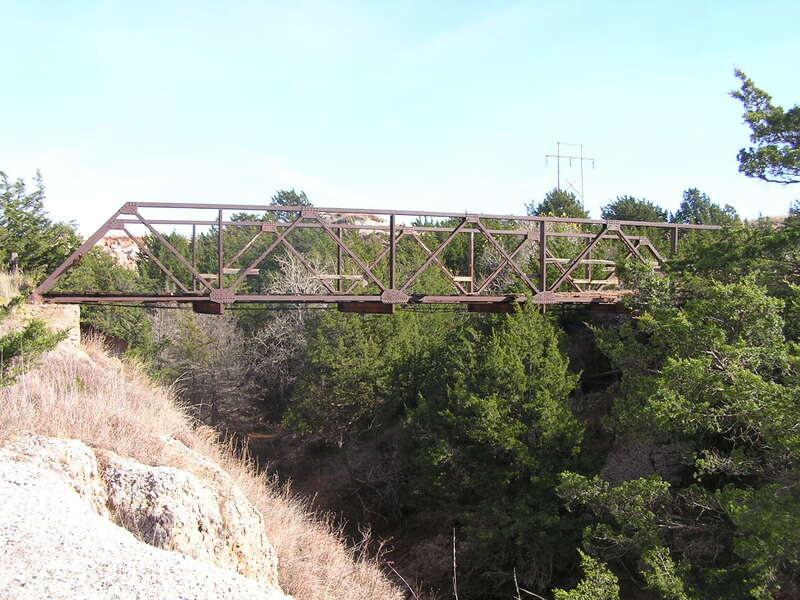 Built in 1910, this is the only truss bridge left in Major County. It crosses an unnamed creek near Bouse Junction. The photo above is looking south through the bridge. 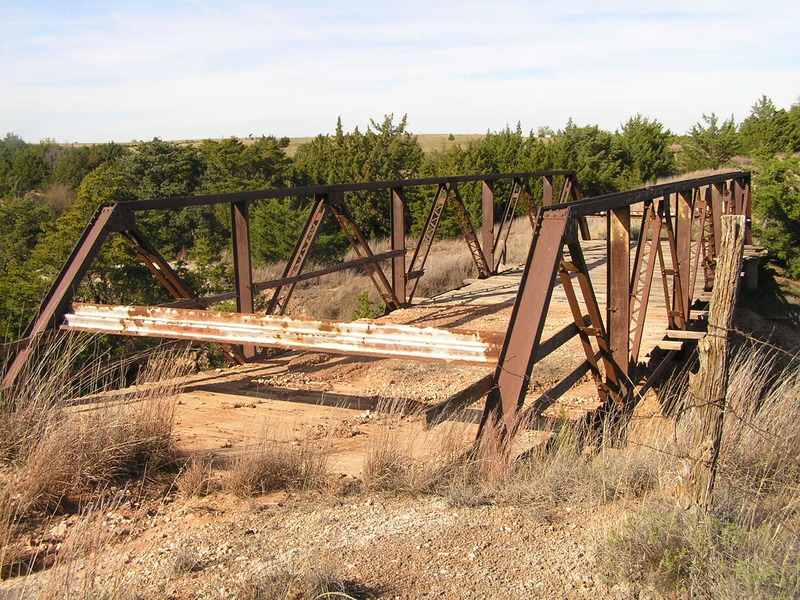 It is a riveted Warren pony truss, with verticals. It contains five panels and is 80 feet in length. Below, a view of the bridge from the side. 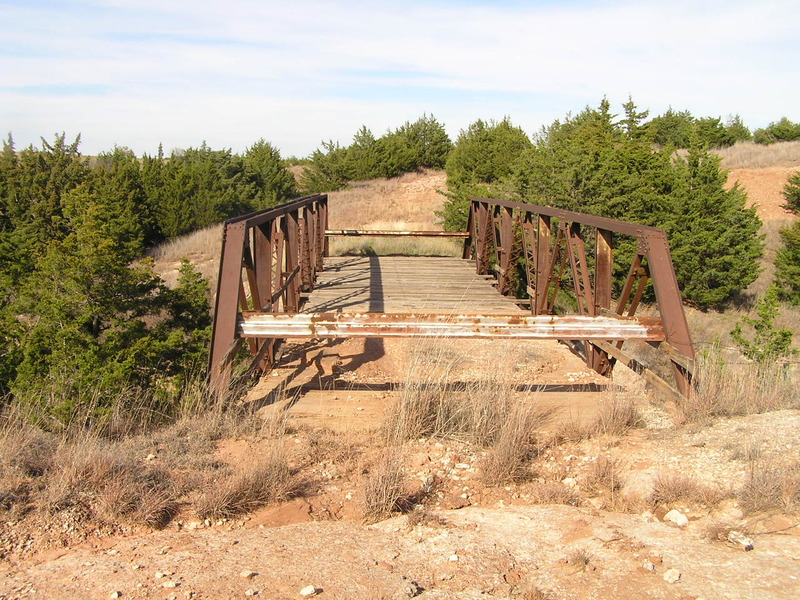 This bridge is rather unique in its lightweight and simple construction. The upper chords and endposts are rolled I's, the verticals are channels, the diagonals are paired angles and are laced if in compression, or held with batten plates in tension. The lower chords are each a pair of angles. Above, a view of the truss from the deck. 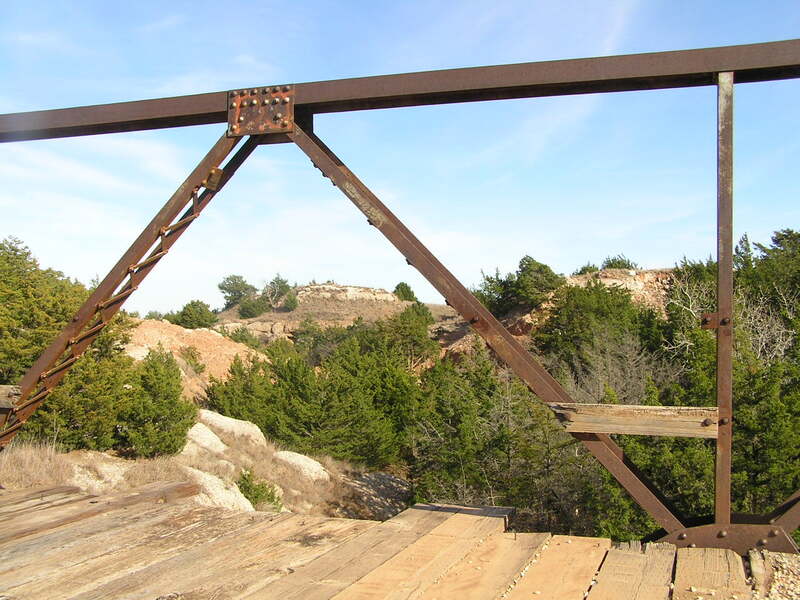 Below, a detail of the truss, and a view of some of the surrounding terrain. 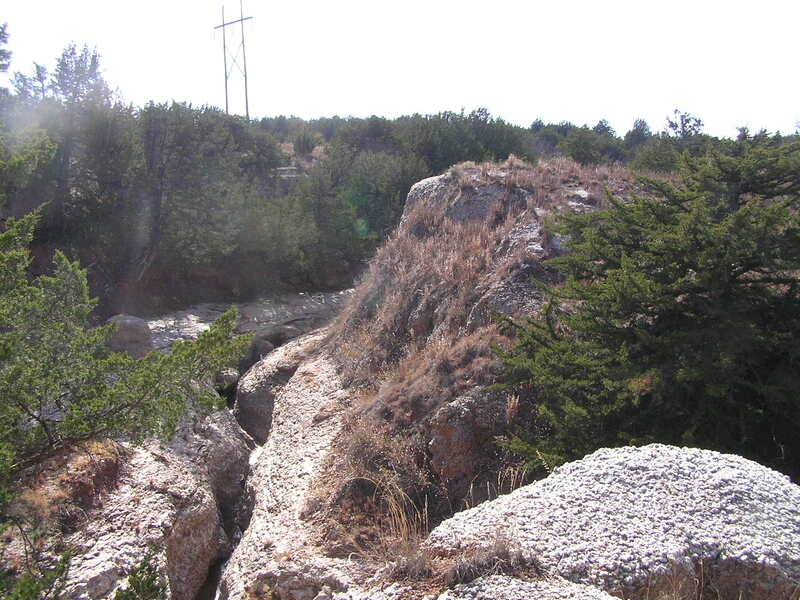 Above, this is a view of the stream this bridge crosses, carved out of the gypsum rock. Below, a final view of this interesting structure. 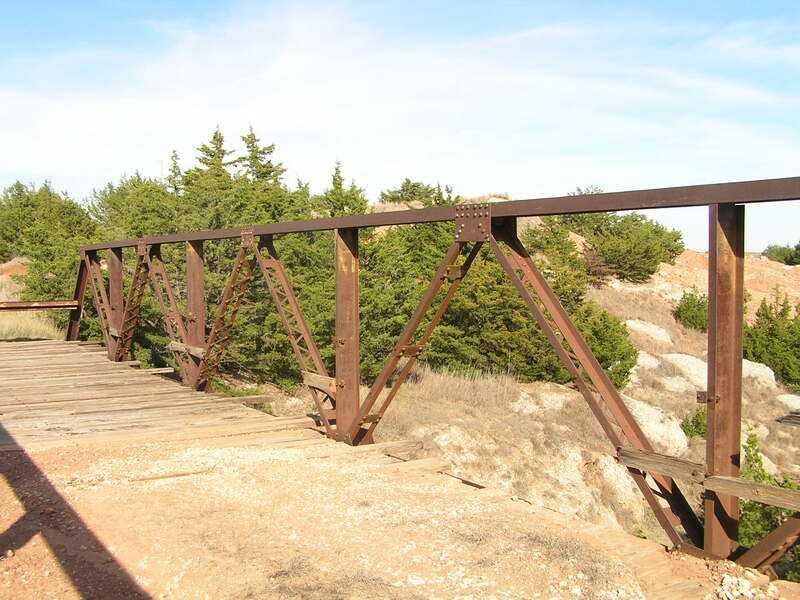 We are unsure of the fate of this bridge, but it is at least still standing and in reasonable condition.